This bundle deal contains a mix of field grade orgonite for distribution outside, and high quality personal orgonite for placement inside. This is an ideal orgonite starter kit, with significant discount to purchasing the items separately. This set includes 12 Field Grade Orgonite Tower Busters (TBs), 3 Lemurian Orgonite Tower Busters (TBs), 1 Lemurian Holy Hand Grenade Cone (HHG) and 1 Gold Tipped Lemurian Holy Hand Grenade Cone. Please see below for detailed information on each piece included in this set. The towerbuster is the most popular basic orgonite piece, intended for distribution outdoors into the wider environment. Conceived by Don Croft in the early 2000s, he named them towerbusters because of their ability to combat the negative effects that mobile phone masts have on etheric energy known as orgone. The basic design of quartz crystal pieces cast into a 50/50 mix of resin and metal, remains the same now as it did back then. 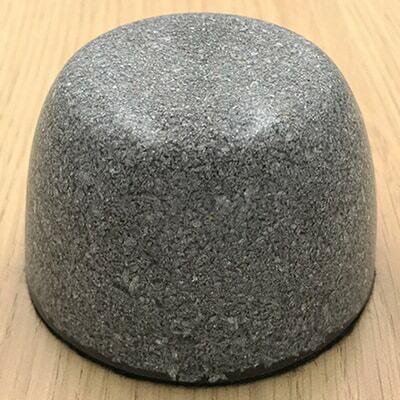 These puck-like orgonite pieces have a volume of about 85ml or 2.9oz, and a distinctive conical-frustum shape, as they are cast upside-down in muffin trays. There is no orgonite better, cheaper or more effective than the basic towerbuster for processing negative orgone energy into positive orgone in the outdoor environment. Field Grade orgonite is typically distributed (or “gifted”) outside, and is placed on the ground, submerged in water, or buried anywhere that is in close proximity to sources of negative energy. Main targets for this are generally communications transmission towers, electrical power lines and substations, and any other considerable source of EMR/EMF. Standard towers take one or two towerbusters to treat, larger towers can take two or three. After the main targets in a community are gifted with orgonite, gifters often concentrate on other areas that seem in particular need of positive energy, and sometimes gift entire cities in grid-like patterns. Don has written an extensive gifting guide linked to in the sources section. Also linked are the expeditions of one of the most prolific gifters in the world, Georg Ritschl, who is thought to have distributed over 30,000 tower busters in and around South Africa. Our field grade basic orgonite towerbusters are constructed using 100% pure, clean aluminium for the metal portion, with two small amethyst quartz crystal pieces, and two small rose quartz pieces making up the crystal portion. This orgonite is intended for distribution into the wider environment, so we do not include materials such as Lemurian crystals and 24-karat gold leaf that are present in every one of our personal orgonite pieces. Although we still try to make them as aesthetically pleasing as possible, this is basic field orgonite, with emphasis on function, intended for distribution outside. The aesthetics and finish may be a little rough, with the possibility of protruding metal, chips in the resin, or small holes. These can be used inside in personal spaces, but the rough finish may cause scratches to surfaces. Please see our comprehensive range of personal orgonite for pieces designed for use inside. These orgonite pieces are orgone processing material. They convert orgone from negative to positive, and are also thought to release positive orgone energy when stimulated by conventional forms of energy. Please see the “Materials used” tab to the right for full details about each material. The towerbuster is the most popular basic orgonite piece, originally intended for distribution outdoors into the wider environment. The basic design of quartz crystal pieces cast into a 50/50 mix of resin and metal, remains the same now as it did back then, but we have upgraded and added materials for this piece designed for use within personal spaces. 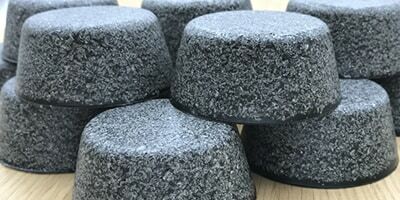 These puck-like orgonite pieces have a volume of about 200ml or 6.8oz, and a distinctive conical-frustum shape, as they are cast upside-down in muffin trays. Orgonite is used in personal spaces to process negative orgone energy into positive orgone, while enhancing the metaphysical properties and functions of the crystals and gemstones encased within it. Ideal locations for positioning orgonite are near electrical equipment (such as wifi routers, computers and TVs), and close to where people are situated (such as desks, tables, work surfaces, window sills and hallways). At the heart of our Lemurian towerbuster orgonite device is a double terminated Lemurian seed quartz crystal. Lemurian crystals are considered to be master crystals; associated with all chakras and astrological signs, and are able to communicate with other crystals. Metaphysical legend indicates that the peaceful ancient Lemurian civilisation planted these unique crystals around 12 million years ago, for future generations to uncover. Physically, Lemurian crystals have multiple bar-code like horizontal grooves, striations or stripes along one or more sides of the shaft. These are said to contain information, knowledge and wisdom programmed and embedded by the Lemurian civilisation. Standard single terminated crystals focus and amplify energy in one direction, but naturally double terminated crystals are known to simultaneously absorb and transmit energy in both directions. A single terminated crystal can send energy from one chakra to the next; double terminated crystals can exchange energy between chakras, clearing blockages and bringing greater balance and stability. This bi-directional transfer of energy can introduce or enhance stability in all the subtle energy systems of the body, and is especially useful in balancing energies between two people. 100% pure, clean aluminium makes up the metal portion, with three small amethyst quartz crystal pieces, and three small rose quartz pieces complementing the Lemurian for the crystal portion. Also included in the matrix of this orgonite piece are 24-karat gold flakes. Gold is often referred to as the master healer, being able to clear negativity from chakras and energy fields of the physical, emotional, intellectual and spiritual bodies. Gold is considered to have an energy which is cooperative, receptive and regenerative, and works very well with other gemstones, attracting and maintaining qualities from other stones, increasing their power, while providing a stabilising influence on them. Each piece is hand made, and takes at least 6 days to make. We try our very best to ensure they are as aesthetically pleasing as possible, but the nature of the processes involved means that air bubbles, small holes, or blemishes may possibly be present. Any such physical imperfections have no effect on the function of the piece. This orgonite piece is orgone processing material. It converts orgone from negative to positive, and is also thought to release positive orgone energy when stimulated by conventional forms of energy. The holy hand grenade is the second most popular basic orgonite piece behind the towerbuster, and was originally intended for distribution outdoors into the wider environment. Conceived by Don Croft in the early 2000s as a device to combat the negative effects that mobile phone masts have on etheric energy known as orgone, the name originates from a Monty Python film. The original design features 5 terminated crystals; one located vertically in the centre, pointing up towards the tip of the cone, and the other four located horizontally at the base, equally spaced pointing from the centre outwards. The rest of the piece is a 50/50 mix of metal and resin. We have significantly updated this basic original design for use within personal spaces, and use upgraded materials as detailed below. Their size and orgone processing capacity is significantly larger than the towerbuster, and are particularly useful near bigger sources of negative orgone energy and EMR/EMF. 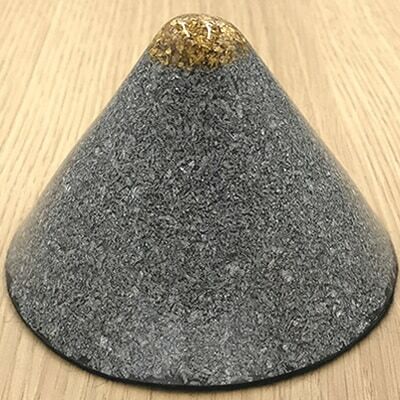 These pyramid-like orgonite pieces have a volume of about 320ml or 10.8oz, and a distinctive conical shape, as they are cast upside-down in martini glasses. 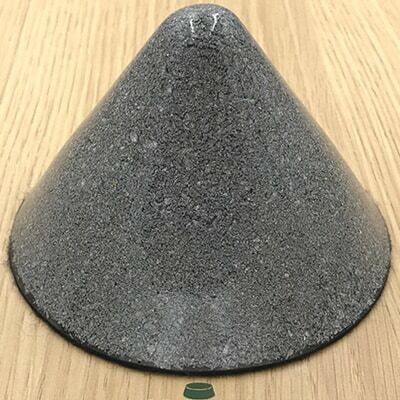 At the heart of our Lemurian holy hand grenade orgonite cone device is a very special double terminated triangle-faced record-keeper Lemurian seed quartz crystal. This crystal is positioned in the middle of the piece, and points up vertically towards the tip of the cone. All Lemurian quartz crystals are said to be record keepers, but the presence of triangles on the faces of the crystal are extra special, and are known as triangle-faced record keepers. These crystals have been said to have facilitated access to information stored within the Akashic Records (a compendium of all human events, thoughts, words, emotions and intent ever to have occurred, believed by theosophists to be encoded in a non-physical plane of existence known as the etheric plane), with the triangle shape representative of a door or gateway. They are said to activate dormant intuitive and psychic abilities, and assist communication with spirit guides. Record-keeper triangle-faced double-terminated Lemurian quartz crystals are incredible specimens, the crème de la crème, and are very rare indeed. Although the triangles only need to appear on one face for the crystal to be considered a record keeper, most of the record keeper Lemurian crystals we select have the record keeper triangle markings on both ends, with the arrows pointing in the direction of the termination at both terminations. These are rarely seen for sale, and command high prices when they are. Near to the base of the cone, we have positioned six double terminated lemurian seed quartz crystals. These are horizontal, parallel to the base, and are evenly spaced to point out from the centre in a hexagonal formation. Lemurian crystals are considered to be master crystals; associated with all chakras and astrological signs, and are able to communicate with other crystals. 100% pure, clean aluminium makes up the metal portion, with six small amethyst quartz crystal pieces, and six small rose quartz pieces complementing the seven Lemurians for the crystal portion. This item comes presented in a black velvet jewellery bag. Orgonite has a unique ability to enhance the metaphysical properties of precious/semi-precious stones, rocks, minerals and gemstones encased within it, this is probably due to the intense positive energy that surrounds and flows through orgonite. This enables us to combine the negative energy scavenging and positive energy emitting qualities of orgonite, with the amplification of the inherent metaphysical properties possessed by gemstones. The tip of this device consists of an orgonite matrix of 24-karat gold flakes. Gold is often referred to as the master healer, being able to clear negativity from chakras and energy fields of the physical, emotional, intellectual and spiritual bodies. 100% pure, clean aluminium makes up the metal portion of this device, with three small amethyst quartz crystal pieces, and three small rose quartz pieces complementing the seven Lemurians for the crystal portion. More 24-karat gold flakes are included in the matrix of this orgonite piece. We are diligent about the type and quality of materials used, and take the time to precisely position these materials optimally within each piece, having found that the grade, quality, positioning and arrangement of materials within orgonite pieces can have an impact on the function. The primary function of orgonite is to convert negative orgone energy into positive orgone energy. While there are many orgonite vendors offering a wide range of items, there must be a 50/50 mix of resin and metal, with a quartz crystal contained in the mix, for the item to be considered orgonite. We go to great lengths to use the highest quality materials that we can. 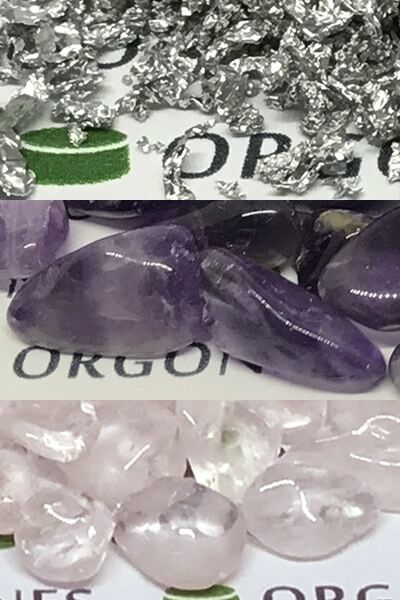 Double terminated Lemurian seed quartz crystals, amethyst quartz crystal pieces, rose quartz pieces, 100% pure, clean aluminium, and 24-karat gold flakes form the basis of all our personal orgonite pieces. When using gemstones, we ensure the specimens are genuine, and select the highest grade possible. We also include selenite to clear, charge, and enhance the properties of gemstones. We are very precise about the type and grade of materials, but also the accurate positioning of them. Hexagonal patterns are found in nature on both micro and macro scales; from snowflakes to the jet stream that flows around the north pole of Saturn, a hexagonal formation several times the size of earth. The flower of life is a hexagonal formation said to contain all patterns of creation, and is found in most ancient cultures, and in architecture and literature all around the world. In the context of orgonite, hexagonal formations are stronger than the sum of their parts. For example, six tower busters (TBs) is a potent number of orgonite pieces to have in close proximity to each other, but when they are perfectly arranged in a hexagonal formation, they are able to convert a negative ley line (qi line/orgone line/black line/geopathic stress line) into a positive one. We try to incorporate hexagonal geometry wherever possible in the construction of our pieces, and of course the double terminated Lemurian quartz crystals that we use in every single piece of personal orgonite have naturally formed hexagonal prisms for shafts, and naturally formed hexagonal pyramids at each termination point. All of our personal orgonite pieces take at least six days of slow, careful, precise workmanship to complete. Concepts of invisible life force energy have been present for thousands of years, in several different cultures and religions. Trying to measure and prove the existence of this subtle, etheric energy is difficult though. Wikipedia describes chi or qi as “a non-scientific, unverifiable concept”, and describes orgone as “a pseudoscientific concept”. 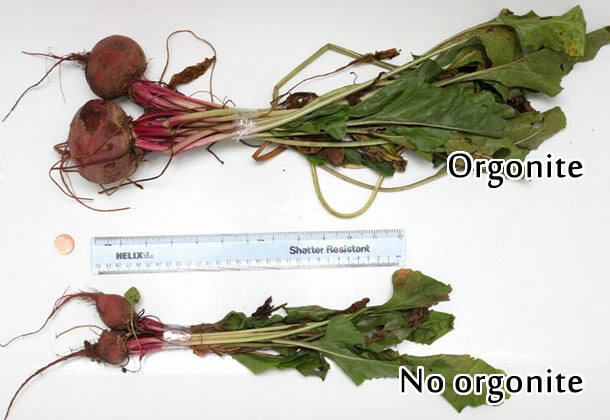 But there is a verifiable reproducible thermal anomaly (which we discuss in detail below), as well as plant growth enhancing properties of orgone accumulators, providing some evidence to confirm the orgone energy theory. However, jumping from alternating layers of organic and inorganic material in a 6-sided orgone accumulator box, to an orgone generator consisting of a matrix of organic and inorganic material with a quartz crystal contained within it, is a big leap that requires evidence to support the theory. There is no known thermal anomaly with orgonite, as it does not accumulate orgone energy, it instead converts negative orgone energy into positive orgone energy. However, similar to the orgone accumulator box, there does appear to be some evidence of enhanced plant growth in the vicinity of orgonite pieces. Some of these could be described as anecdotal, but none the less, these are accounts of significant increased plant growth around orgonite devices. 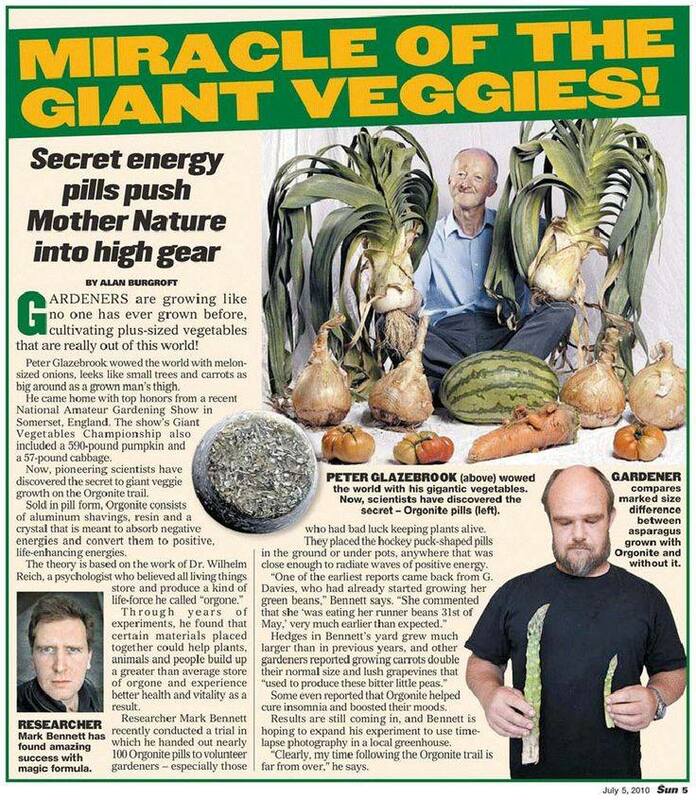 We certainly need more experiments on the effects of orgone generators on plant growth. There is a large amount of anecdotal evidence from personal reports of people who make or use orgonite on various online forums such as Etheric Warriors and Warrior Matrix . 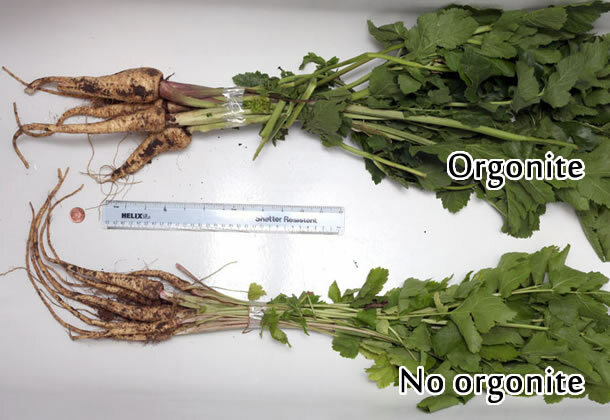 Significant difference in root vegetable growth using orgonite. 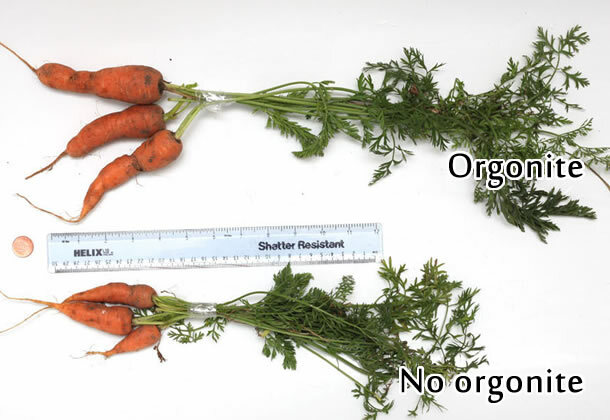 Visible difference in carrot growth using orgonite. 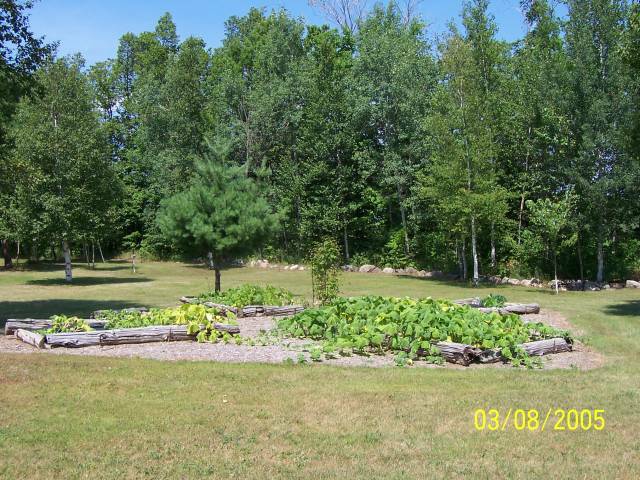 16 big marrows in the garden using orgonite and 5 small marrows in the control (normal) garden. 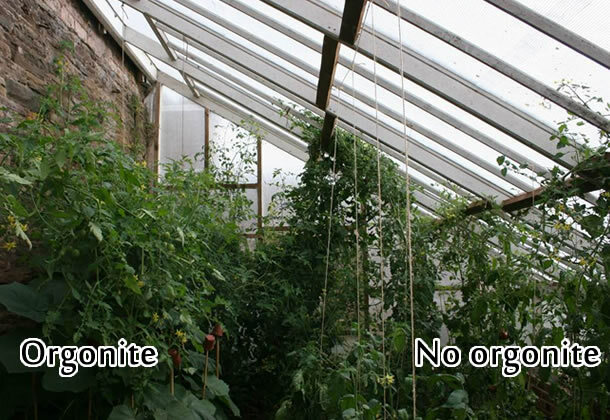 Visible difference in growth of tomato plants with orgonite underneath them. 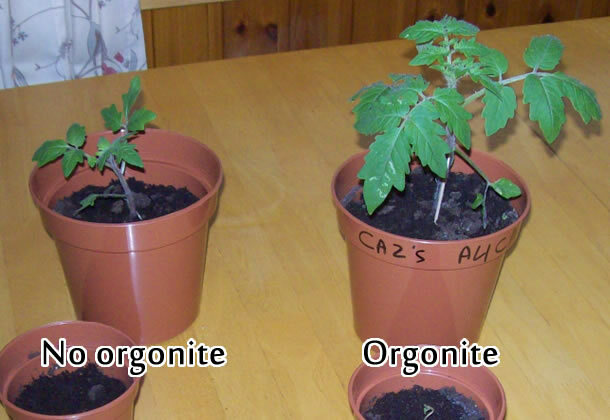 Visible difference in tomato plants grown with orgonite. 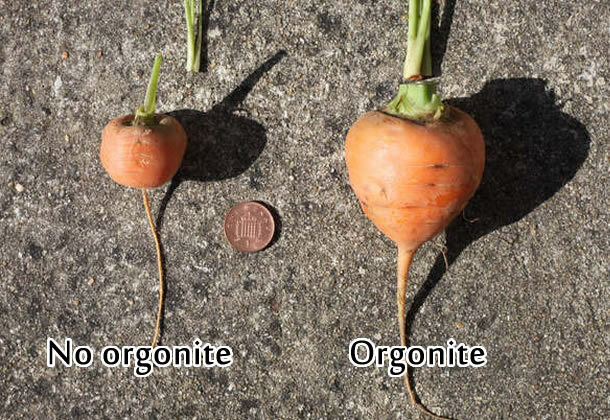 Visible difference in corn seed germination using orgonite. 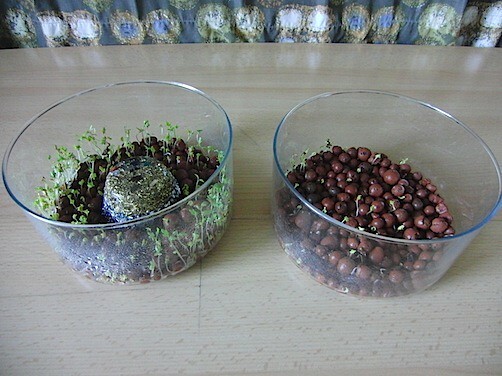 Visible difference in sprouting seeds with orgonite. 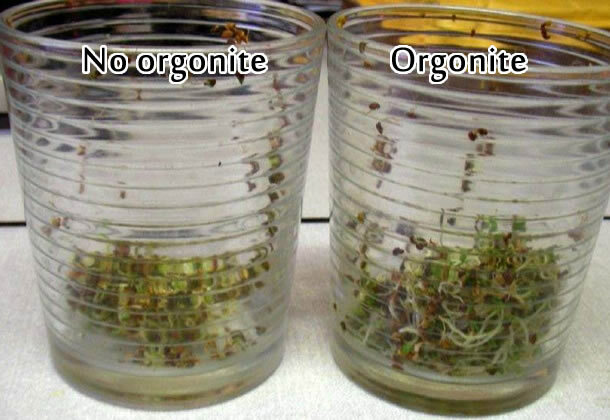 22g difference in sprout growth using orgonite over 48 hour period. 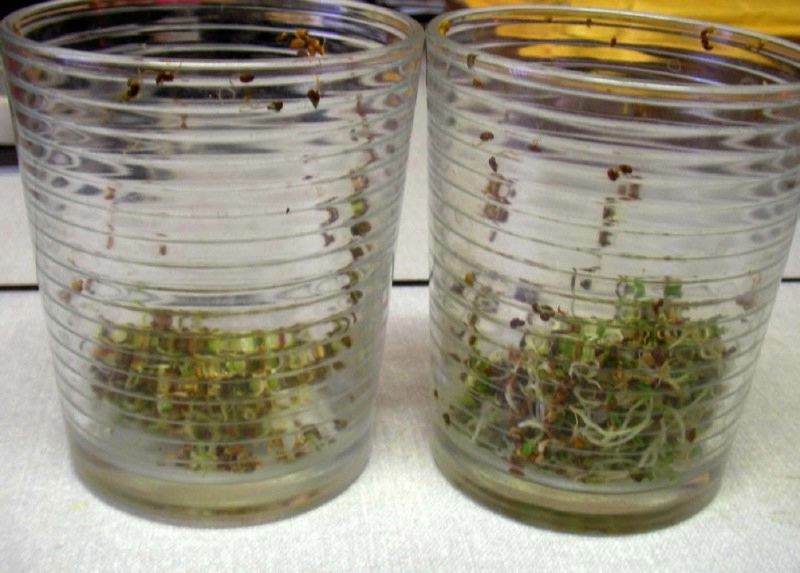 Visible difference in garden cress seed growth using orgonite in 5 days. Orgone is an omnipresent invisible sea of subtle etheric energy that is usually found in higher concentrations within living tissue. It interacts with the physical environment, having an effect on magnetic, optical, thermal, electrical, metabolic and chemical properties to varying degrees. The term was coined by Wilhem Reich in the 1930s, as a way to describe an energy that he was observing in laboratory experiments that did not obey the laws of electricity or magnetism. Although Reich’s discovery and naming of orgone energy is relatively recent, concepts of similar invisible life force energy have been present for thousands of years, known as qi, ch'i/chi, khi, gi and ki in traditional Chinese/Qigong, Vietnamese, Korean and Japanese cultures respectively. Similar concepts are known as prana, chi, pneuma, mana, lüng, manitou, ruah and vital energy in Hinduism/Indian culture, Igbo religion, ancient Greece, Hawaiian culture, Tibetan Buddhism, indigenous peoples of the Americas, Jewish culture and Western philosophy respectively. 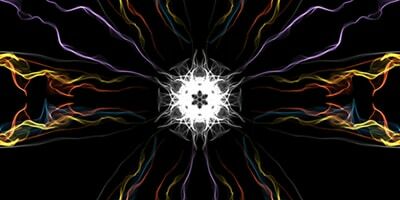 Reich himself sometimes referred to orgone energy as “life energy”, and various other names for subtle energy include aether, odic force, reiki energy, bioenergy, bioetheric energy, biomagnetic energy, huna energy, animal magnetism, astral energy, 4th dimensional energy, and emotional body energy. In terms of properties, through observation it is thought that orgone is polarised, mass free, affected by living things, able to penetrate and travel along all known materials at different speeds, and in constant motion. Orgone flows in the direction of magnetic fields, moves at right angles to electrical fields, travels relatively slowly (50 meters in 20 seconds), tends to flow upwards, radiates a great distance, follows optical laws, is present everywhere in variable concentrations, is affected by weather, and travels more efficiently and with less resistance through water and earth than it does through air. It is thought that orgone fields can transmit information without transmitting energy, and that every physical object has a characteristic orgone field. In 1940, Wilhem Reich invented what he called an orgone accumulator, which consisted of a box, constructed of alternate layers of organic and inorganic material. As orgone energy is invisible, it was difficult to provide proof that this device was accumulating orgone energy as claimed. However, one important anomaly remains to this day; Reich noticed that the temperature inside the orgone accumulator was regularly higher than that inside dummy boxes or the surrounding environment. In 1941, Albert Einstein confirmed in writing to Reich that he was also observing this thermal anomaly, with the orgone accumulator showing “a temperature of about 0.30-0.40 degrees Celsius higher”. 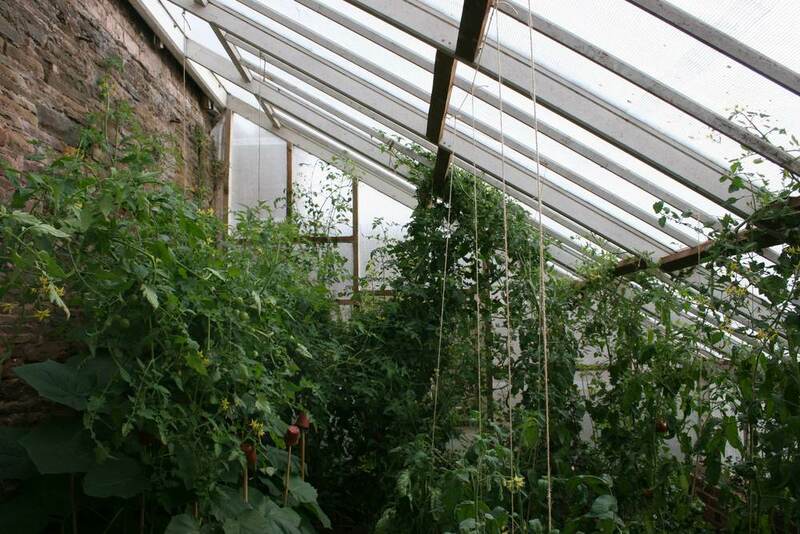 In addition to the thermal anomaly, it has been noted that plant growth is positively affected inside orgone accumulators. 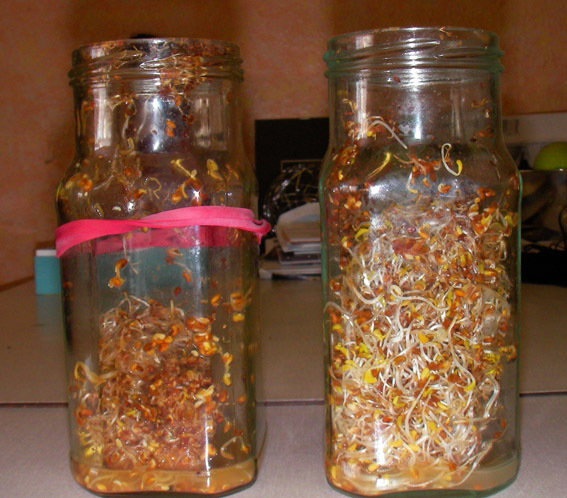 A multi-year controlled laboratory study of sprouting mung beans showed significant growth-enhancement inside the accumulator over controls, with an average 34% increase in sprout length. Orgonite attracts negative orgone energy and transforms it into positive orgone energy. In the most basic form, orgonite consists of a 50/50 mix of organic (resin) and inorganic (metal shavings) materials, with a quartz crystal contained within it. Sometimes referred to as an orgone generator or converter, the name orgonite was coined by Karl Welz in the 1990s, to describe the material created by combining metal and quartz powders with resin. He developed this material for use in his radionics devices. In the late 1990s and early 2000s, Don Croft, with the help of his daughter Nora, and wife Carol, developed the idea further, and started to cast quartz crystals and metal shavings with resin into paper cups and muffin tins, creating pieces of orgonite that can be placed anywhere to convert negative orgone energy into positive orgone energy. Orgonite is a significant development to Reich’s orgone accumulator. An orgone accumulator uses layers of organic and inorganic material to attract and accumulate orgone energy, both positive and negative. However, orgonite uses a matrix of organic and inorganic material in combination with quartz crystals, to transform negative orgone energy into positive orgone energy. 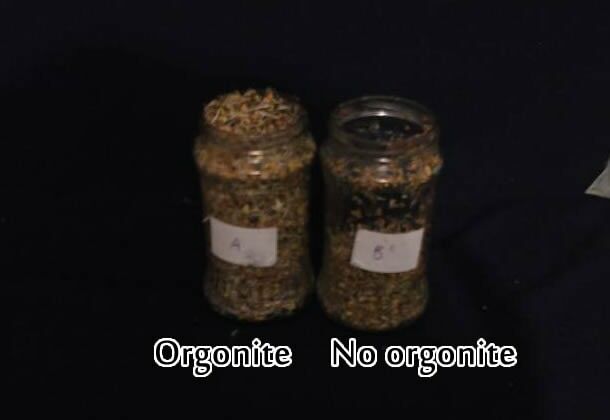 To summarise, orgonite is orgone processing material. It converts orgone from one state to another, and is also thought to release orgone energy when stimulated by conventional forms of energy. 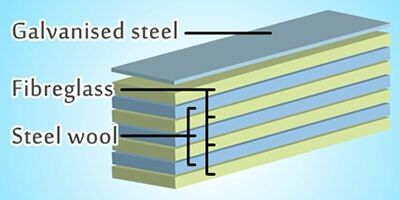 A plausible theory is that the metal shavings insulated from each other by resin in orgonite act as electrical inductors, conducting and storing electromagnetic radiation (EMR) from the surrounding area. The embedded quartz crystal converts this electromagnetic charge from the inductor matrix into small movements, via the process of electrostriction. The result is the continuous scavenging of ambient electromagnetic radiation, converting it into movement, and dissipating it as heat. It is possible that EMR neutralises or at least disrupts the natural positive subtle etheric energy known as orgone or chi. Water is thought to be a superconductor for etheric energy, and certain types of EMR could possibly split moisture in the air into hydrogen ions and hydroxyl ions (H+ and OH-), neutralising or at least disrupting the natural transmission and flow of etheric energy. Placing orgonite in the vicinity of sources of EMR could essentially lift the sterilising effect of the EMR, enabling orgone or chi to function properly again. In this theory, the crystal in the orgonite plays an important role in dissipating the EMR. It is widely believed that because resin shrinks as it cures, a squeezing pressure is applied to the crystal, causing a piezoelectric effect. That is to say, pressure upon the crystal is changing its shape, causing an electric field. What seems more logical is the opposite; that an electric field applied to the crystal from the inductor matrix is causing the crystal to change shape (electrostriction). 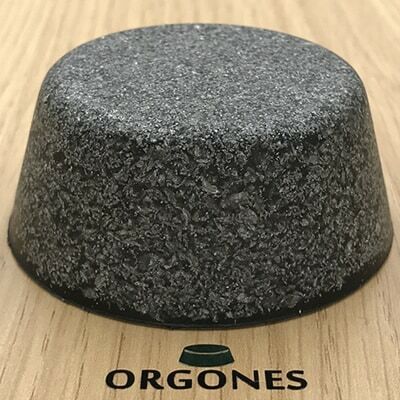 It is notable that orgonite (resin, metal, quartz crystal) is similar in structure to radiation-absorbent material (RAM) used in military stealth aircraft such as the F-117A Nighthawk. The RAM used on this aircraft consists of epoxy, iron and quartz. This lends credence to the theory that orgonite does indeed scavenge and dissipate EMR. This theory expands upon the basic thesis that orgonite converts negative orgone energy into positive orgone energy, and goes a long way to explain orgonite’s interaction with sources of electromagnetic frequencies (EMF) or electromagnetic radiation (EMR). However, it does not explain the thermal anomaly observed in Reich’s orgone accumulator, so only covers part of how orgonite functions. It is theorised that the organic material in orgonite’s matrix attracts negative orgone energy, and the inorganic material repels it. Once attracted to the matrix, it has both pulling and pushing forces applied to it from all directions at the same time, causing friction. This chaotic, scrambled energy is then cleansed and converted into positive orgone energy via the embedded quartz crystal in a process similar to the EMF/EMR theory explained above. The metaphysical properties of precious/semi-precious stones, rocks, minerals and gemstones are enhanced when in the presence of orgonite. This is probably due to the intense positive energy that surrounds and flows through orgonite. Two examples are the protective properties of amethyst quartz, and the loving properties of rose quartz, both included in every Orgones orgonite piece. Gold is also said to enhance the properties of gemstones, and we include 24-karat gold flakes in every personal orgonite piece. We have found that the grade, quality, positioning and arrangement of these additional materials within personal orgonite pieces can have an impact on the function. The interaction of crystals and gemstones with humans can be difficult to prove, but studies have shown that human cells emit weak electromagnetic fields (biophotons) to communicate with each other, and that electromagnetic radiation from crystals affect these biophotons when stones are placed onto or near the body. Crystals and gemstones have been used for thousands of years to heal and enhance physical, emotional and spiritual balance, including by Ancient Egyptians, Ancient Greeks, Ancient Chinese, Ancient Japanese, Romans, Hindu Vedas, Mayans, Aztecs, Incans, Tibetan Buddhists, various indigenous tribes, and even Neolithic man. The specific uses included for spiritual protection, physical protection, spiritual healing and balance, physical healing, good health, burial/afterlife applications, talisman applications, enhancement of sexuality, attraction of love, third eye stimulation, balancing of yin and yang energies, divination, produce visions, enlightenment, and meditation. Orgonite exhibits certain characteristics in the way it behaves and interacts with the environment around it. 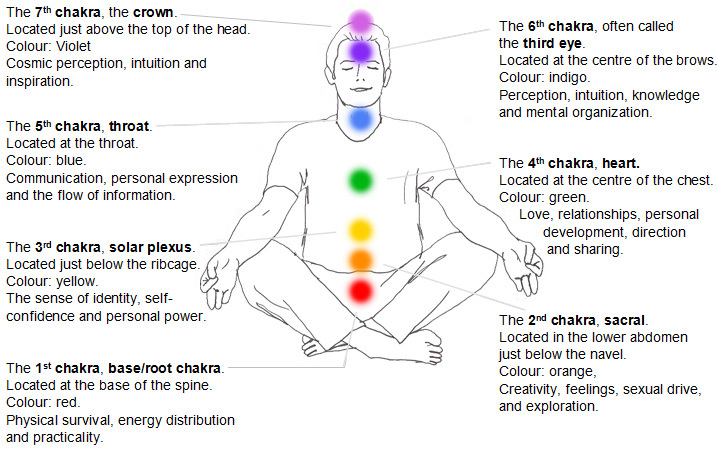 Being aware of these traits can assist with understanding and optimising the function of orgonite pieces. It has been theorised that orgonite is excited by other forms of energy (in addition to negative orgone and EMF/EMR), such as sound, light, heat and motion. It is possible that orgonite can convert some of these energies into positive orgone energy, so exposing orgonite to other sources of energy will help get the most from it. Please note that orgonite should not be heated beyond what is too hot to touch, so do not place directly on sources of heat. Orgonite responds to the energy environment it is situated in, becoming more active when there is more negative orgone energy or EMR/EMF around it, and less active when there is less negative orgone energy or EMR/EMF around it. Orgonite will sit like an idling engine when there is little problematic energy nearby, but will still become excited by other forms of energy, such as sound, light, heat and motion. Properly made orgonite will not accumulate, store or become saturated with negative orgone energy, and will continue to convert negative orgone energy into positive orgone energy indefinitely. However, all orgonite devices have a processing capacity, and can become overwhelmed in the presence of large areas or sources of negative orgone energy. This can generally be rectified with larger and/or additional pieces. The larger the mass of the orgonite piece, the more processing capacity it has. After an extended period of having orgonite pieces static in and around the home or work place, things can be freshened up by swapping pieces over with each other, and changing the positions slightly. This has the effect of exciting the pieces and giving them new challenges; they work individually and together in the same way but in slightly different conditions. It can take some time for the positive orgone energy fields to be re-established after swapping and movement. Anecdotally, starting to live with orgonite in one’s personal space can sometimes be a catalyst for change, often for long standing problems, disputes or issues. Such change can be initially unsettling or distressing, but is normally for the best in the long run. Orgonite can provide a calm and relaxing atmosphere, resulting in less conflict and more positive interactions between people. This is especially enhanced with the double terminated Lemurian crystals within all our personal orgonite pieces. Workplaces and living areas are two places that can especially benefit. 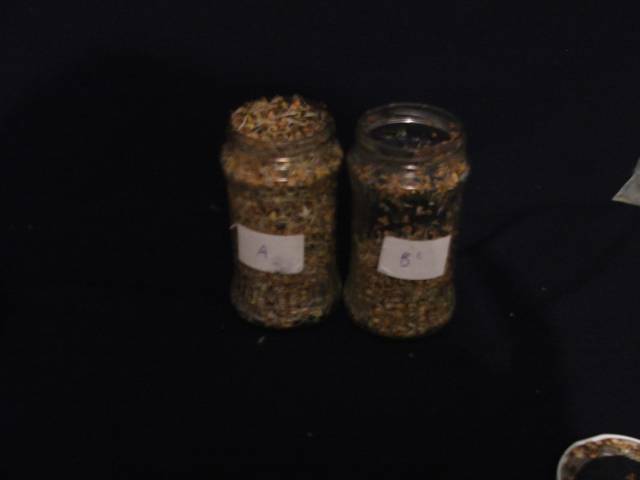 It is common to notice beneficial changes in the emotional state and behaviour of people and animals within the effective range of orgonite devices, whether they are aware of its presence or not. All our orgonite pieces are passive devices that will continue generating, converting and cleansing orgone indefinitely. There is no wrong way to use or place them, but there are good habits and techniques that can be used to get the most from them. 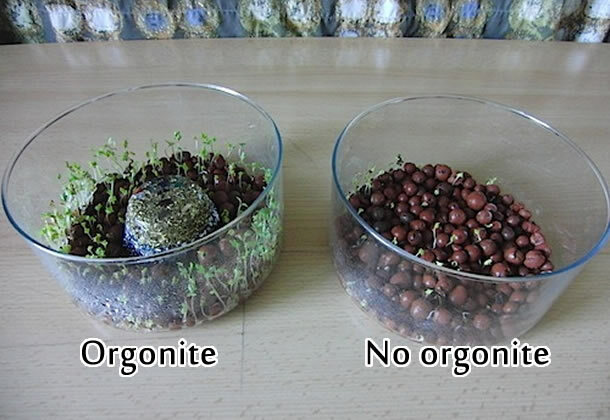 Orgonite works slightly better in bodies of water, or when buried or partially buried outside. Toilet cisterns or tanks are ideal places for positioning orgonite pieces. They are discreet, and function very well in refreshed bodies of water. Place orgonite under your pillow, beside the bed, or under the bed to help combat bad dreams/nightmares and for restful sleep. It may help to increases the frequency of lucid dreaming. Orgonite should be placed outside, at the corners/boundaries of your property, and inside at the corners of buildings, ideally on multiple floors. There have been reports of people saving money on electricity bills by placing orgonite on or close to the electricity meter. Both the electricity meter and any fuse boards are good places to put orgonite. As close as possible to pipes at the point at which water enters the property is a good place to put orgonite. Wifi routers are good points to have orgonite. Window sills are great places for orgonite. Orgonite placed in proximity to plants, both inside and outside, helps aid plant health and stimulate growth. 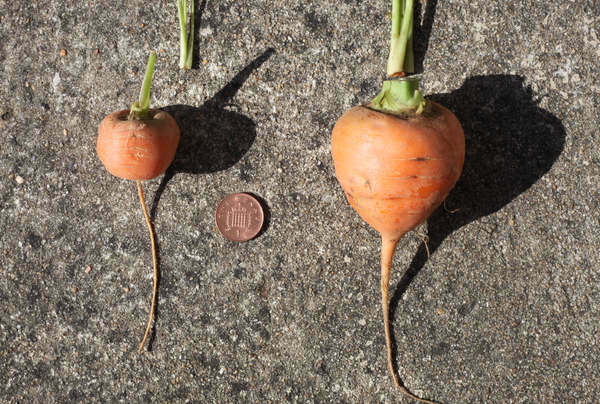 It can be placed in close proximity, on top of dirt, semi-buried or completely buried. Orgones orgonite pendants and keyrings are ideal for carrying around with you, offering protection and enabling you to constantly stay in a positive orgone field. A TB or preferably an HHG cone is perfect for placement in your car/vehicle. 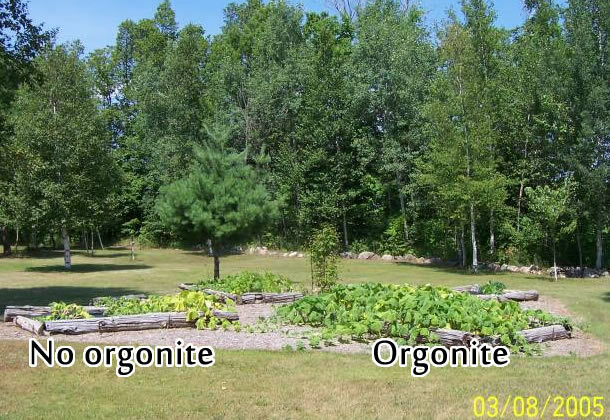 Ponds, lakes, ditches, and other bodies of water make excellent environments for orgonite to work in. Pets love to be around orgonite, and may benefit from it being near bedding. Just make sure they can’t/don’t chew or swallow it. 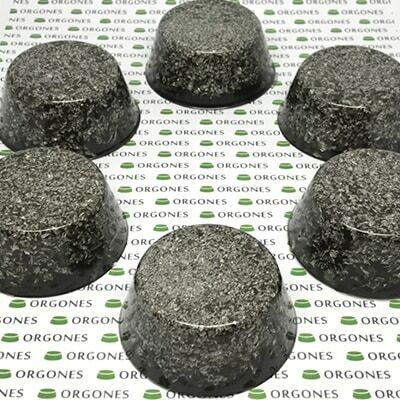 Though it functions primarily to convert negative orgone to positive orgone, and combat the negative effects that electronic equipment has on etheric energy, orgonite has a wide range of uses, with new applications continuing to be discovered. Orgonite can be a good meditation aid, placed next to you, on your lap, or holding it. Orgonite can be used to “charge” water. 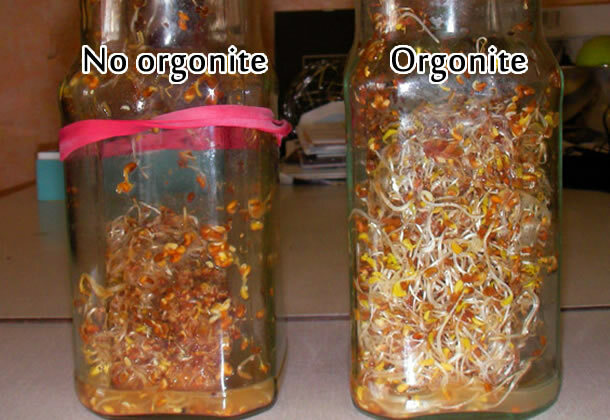 It is not food-safe, so do not place orgonite inside drinking water containers, but placing orgonite underneath or close to drinking water is fine. 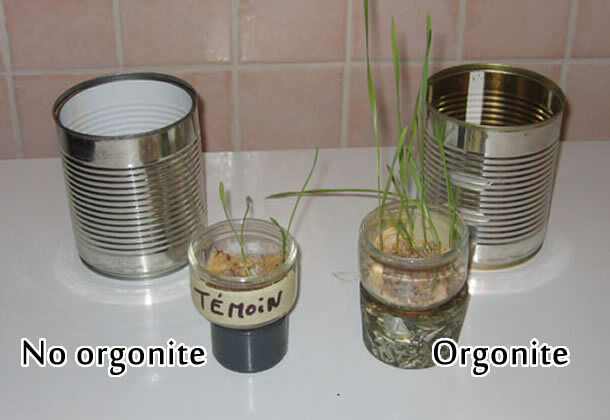 Orgonite can also be used to “charge” water for plants; it can be placed inside watering cans or water butts. 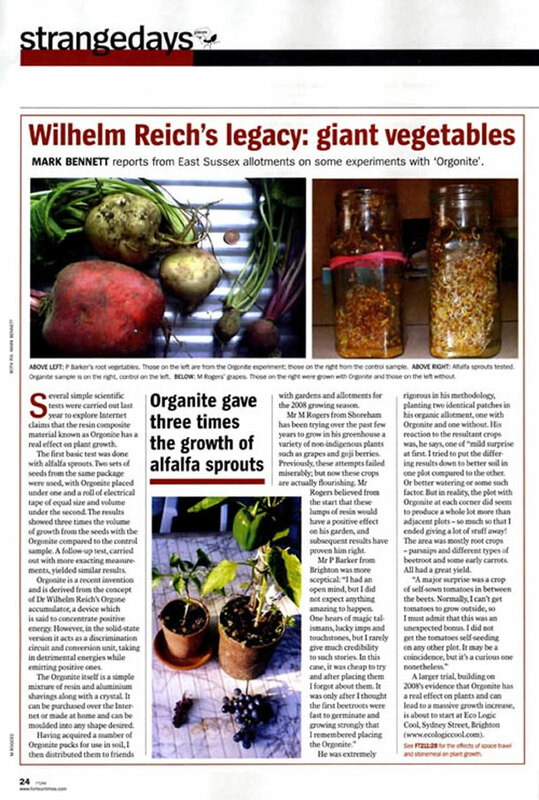 People have reported various degrees of success in maintaining and extending freshness of fresh fruits, vegetables and flowers, by placing them on top of, or in close proximity to orgonite pieces. Placing orgonite on top of and inside fridges/freezers may have a similar effect. Orgonite may help to unearth and deal with unresolved emotional issues. Generally aids people who already work with, or are sensitive to subtle energy. All Orgones orgonite pieces can be used to amplify intent, assist in psychic and telepathic work, cleanse and balance the aura, and aid spiritual growth. Orgonite inherently offers protection from negative energies, influences, entities and thought forms. Orgonite scavenges and dissipates ambient electromagnetic radiation (EMR) and electromagnetic frequencies (EMF), so can be particularly useful for people that are sensitive to EMR/EMF. Placing orgonite close to sources as well as in personal space is advisable. Sources of low frequency EMR/EMF are AC Electrical Fields and AC Magnetic Fields, and generally stem from mains electricity (50Hz or 60Hz). These include substations, overhead and underground power lines, point of entry and meter point of electrical supply, fuse boxes and distribution boards, general household and industrial mains wiring, lighting, and any electrical appliance that is connected to mains electricity. Sources of high frequency EMR/EMF are radio and microwave frequencies (10MHz to 8GHz). Examples of these include mobile phones, mobile phone towers/masts/antennas, cordless phones, wireless internet/wifi – routers and connected devices, Bluetooth devices, smart meters, microwave ovens, wireless audio and video, TV, radio and other communication antennas and towers and radar. At the very least, orgonite makes for a great ice breaker and conversation starter. People may display varying degrees of scepticism towards orgone and orgonite. A degree of scepticism is always healthy, and because orgone is an invisible subtle etheric energy, it is difficult to provide indisputable proof that orgone exists, and that orgonite interacts with it. The reproducible thermal anomaly in the orgone accumulator tested and confirmed by Einstein. 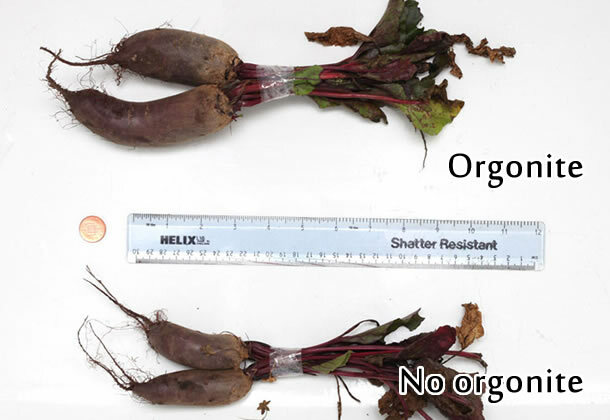 The reproducible plant growth anomaly inside the orgone accumulator. 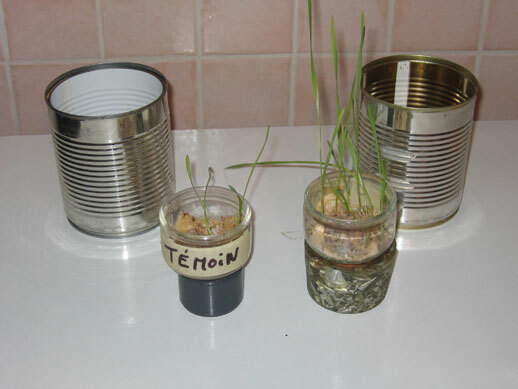 The enhanced plant growth observed around orgonite pieces. 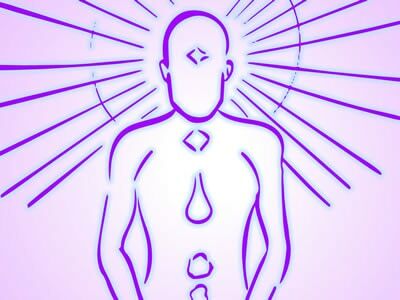 Studies that show human cells emit weak electromagnetic fields (biophotons) to communicate with each other, and that electromagnetic radiation from crystals affect these biophotons when stones are placed onto or near the body. We link to and source a wide range of websites and publications within the orgone, orgonite and related fields from our website. Some of the people and businesses within this field do not agree with each other, with sometimes polar opposite opinions on certain subjects. When we source or link to a website, it will contain relevant information to the specific subject in hand. Other opinions, products, research material and stories also contained on such websites or publications may bear little or no relevance to the context of our specific subject matter. As such, linking to other websites or publications should not be seen as an endorsement unless specifically made. As always, discretion and healthy scepticism is advised. We include sources within each section of this website, but have listed them together here for ease of reference. Are your personal orgonite pieces suitable for gifting? Do you make or sell cloud busters (CBs), chem busters or any other weather modification devices? Does the Casimir effect explain the function of orgonite? Are crystals necessary to the function of orgonite? Can I see orgone energy? Do you use metal powder and quartz powder to make “nano” orgonite? I heard aluminium shouldn’t be used in orgonite? 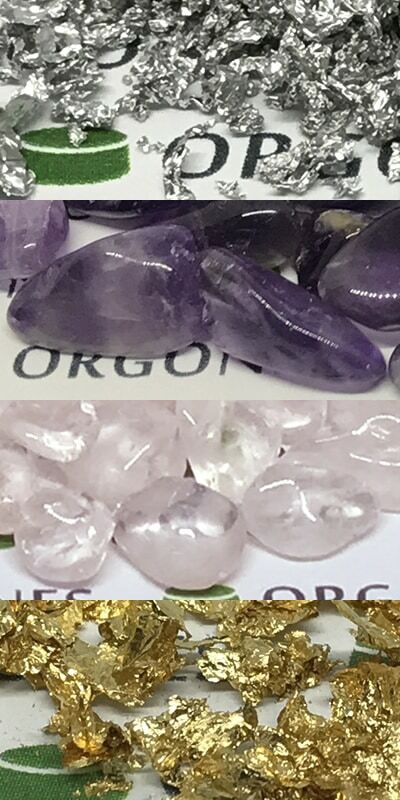 The information and products on this website involve subtle etheric energy and metaphysical properties of crystals and gemstones, and are for experimental, informational and educational purposes. These are not intended to diagnose, treat, cure or prevent illness or disease, and are not intended to be a substitute for informed medical advice or care. You should consult with a doctor, physician, or other healthcare professional if you have or suspect you might have a health problem. The statements on this website have not been evaluated or authorized by the United States Food and Drug Administration, or The American Medical Association, or any other medical or healthcare body.